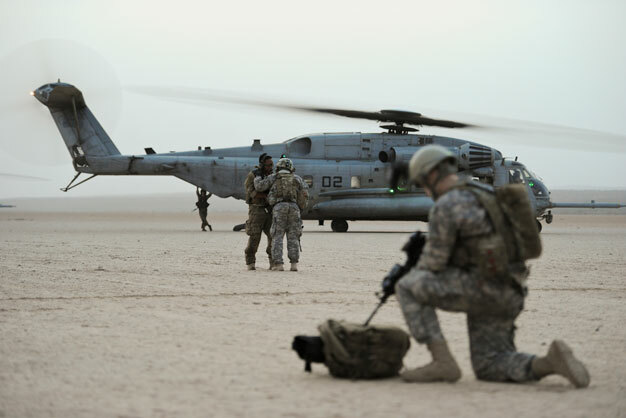 US Air Force pararescuemen and Army Soldiers prepare to cross-load simulated casualties from a Marine MH-53 to an Air Force HC-130J Combat King II during a training exercise at an improvised landing strip in the Grand Bara Desert, Djibouti. The joint service exercise took place in support of Combined Joint Task Force-Horn of Africa. US Air Force photo by Tech. Sgt. Donald R. Allen.